Countryside is a leading UK home builder specialising in place making and urban regeneration. We operate through two complementary divisions, Housebuilding and Partnerships. We believe that we are one of the most effective strategic land developers and urban regeneration partners in the UK. Our achievements are exemplified by the receipt of more than 340 awards for design and sustainability since 2000. We hold more Housing Design Awards than any other home builder and we are the only home builder to receive the RIBA Stirling Prize for a housing development. Our design and place making-led approach to development creates added value and supports our ability to secure land and obtain planning permission. Founded more than 55 years ago, Countryside has earned a reputation for high quality, sound governance and good management practices. These are certificated to internationally recognised standards, and we have held Investors in People accreditation since 2000. Our reputation for honesty, integrity and delivering value has enabled us to successfully partner with a broad range of organisations. We are skilled at working collaboratively with landowners, public agencies and major commercial organisations to create places people love, and which consistently deliver a premium for our partners. 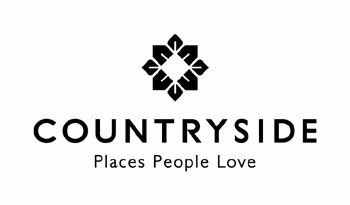 Following a successful initial public offering in early 2016, Countryside is listed on the London Stock Exchange. This has brought new funding into the business and is allowing us to accelerate our growth. We are looking to the future with excitement as we expand the business using our substantial financial resources and our experienced management team to create a legacy in which we can take great pride.